This is great. 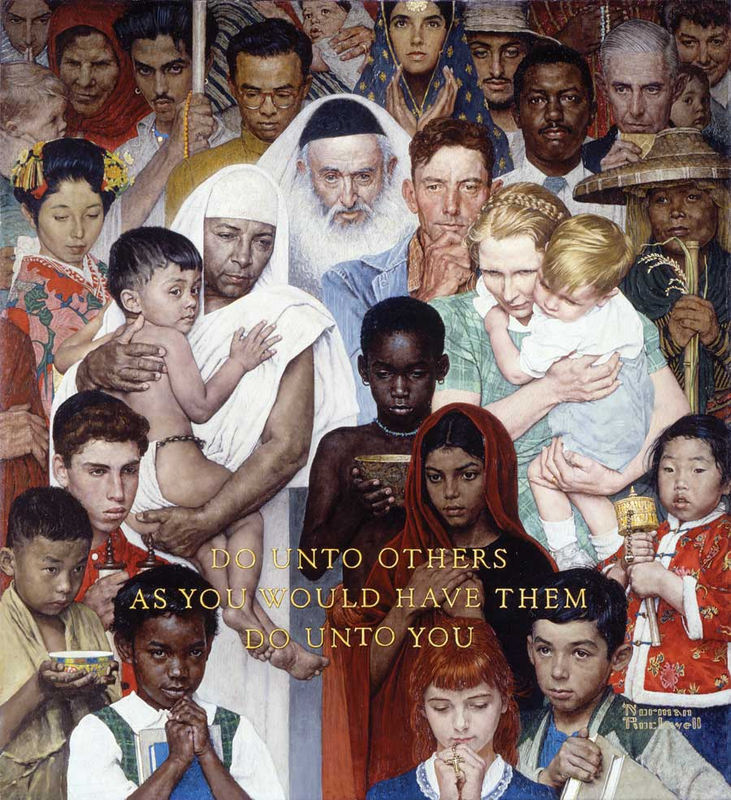 The students studied the Norman Rockwell painting, “The Golden Rule.” They looked at the details and observed their feelings. The team then put their feelings into words in the form of a wonderful poem, which is below. More than that, the students marched through the school holding up a “The Golden Rule” print for the whole school to see! The hope is that this ripples through the country and world, like it did with their classroom of students, inspiring all! This is from a letter to the editor in my local newspaper, the Berkshire Eagle. It makes us feel weird and nerve-wracking. With teacher Meagan Warner, students who teamed in writing the poem are Miles Allard, Caroline Becker, Juan Cambi, Lexi Carpenter, Ty Colli, Brooke Decker, Harmony Estrada, Logan Hartzell, Sadie Honig-Briggs, Brenden Hunt, Isaac Rodriguez, Leilana Salvini, Sani Schollenberger, Emma Seward, Francesca Stanmeyer, Dioniso Vivarelli and Ryder Winters.